David Weinstein ’90, M.D., M.M.Sc. That 1999 trip, Epps’s first overseas, was the beginning of a series of travels and explorations that has taken her all over the globe to teach law, monitor international legal proceedings, and see how the law intersects with the cultures in which it is practiced. By 2008, when she assumed the deanship of the law school, Epps had helped train Sudanese lawyers representing victims of the Darfur crisis, taught jury trial advocacy to over 20,000 members of the Japanese Bar Association, joined other international law faculty in teaching advocacy skills to prosecutors at the United Nation’s ICTR (International Criminal Tribunal for Rwanda) in Tanzania, and taught courses in advocacy to Chinese lawyers enrolled in Temple’s “rule of law” graduate program and to lawyers from the Beijing Supreme People’s Procuratorate (the Chinese prosecutor’s office). 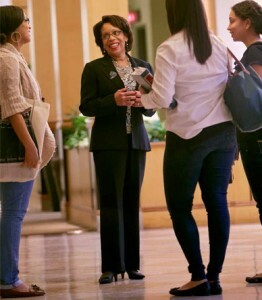 Epps’s route to the Temple law faculty and her foreign travels, and ultimately to the law school deanship, began in suburban Philadelphia, then took her to Trinity, Yale Law School, and positions as deputy city attorney for the City of Los Angeles and assistant U.S. attorney for the Eastern District of Pennsylvania. 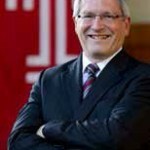 Under her leadership, in turn, Temple serves both its students and the larger community. 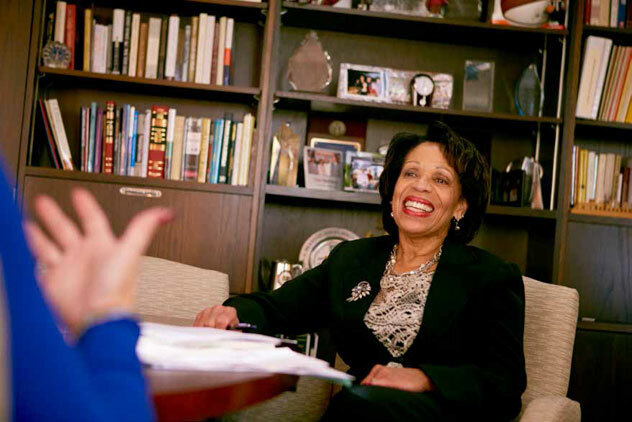 Epps notes that while part of her job is being a CEO—running an enterprise with a $40 million budget—her priority is delivering a high-quality education and “maximizing the opportunities for greatness” for the school’s students and faculty. At the same time, she says, “This institution should be centered in what is happening in the larger world.” She notes that the school is deeply involved in a number of initiatives focusing on the city of Philadelphia, including launching a Center for Social Justice. The center will partner with the city’s public-interest entities to pursue legal and policy responses to a range of social justice concerns. “My vision for everything we do at Temple,” she says, “is based on both ‘how will this help our students?’ and ‘how will this make an impact beyond our walls?’” Epps has been deeply involved in social justice issues throughout her professional life, starting with her Yale Law School days, when she was a national officer in the Black Law Students’ Association, and continuing to the present with her work in helping some of the world’s most war-torn regions to embrace the rule of law. In her community, Epps’s activities have included chairing the Mayor’s Task Force on Police Discipline, serving as an outside monitor of Philadelphia’s compliance with a settlement over stop-and-frisk procedures, and service as a member of panels that included the Pennsylvania Commission for Justice Initiatives, the Pennsylvania Women’s Forum, the Advisory Council for the Pennsylvania Prison Society, and the Pro Bono Task Force of The Legal Services Corporation. “I’ve always looked to be involved with organizations whose beneficiaries may need others to help speak for them,” she says. Epps is the author or co-author of numerous academic publications, focusing particularly on evidence, procedure, and advocacy. She is in demand as a speaker locally and nationally, including having testified at the Senate hearings on the nomination of Sonia Sotomayor to be associate justice of the United States Supreme Court. She has received dozens of honors, including being named a Distinguished Daughter of Pennsylvania, being cited as one of the most 100 influential black lawyers in the U.S., receiving the Sandra Day O’Connor Award from the Philadelphia Bar Association, and receiving the Wiley Branton Award from the National Bar Association for “demonstrating leadership on the cutting edge of law for civil, social and economic justice.” Trinity honored her with the Alumni Service Award in 1998 and recognition in 2009 for career achievements in law.